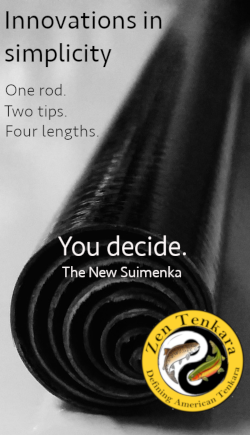 “It’s simple.” Ask most anglers why they like tenkara and that’s probably the answer you’ll get. That was my stock answer too for a long time. But the overthinker in me started to wonder why does “simple” = “good”? After all, “simple” isn’t intrinsically good. If my doctor tells me I need a simple surgery, that’s good. But if I’m told the surgeon who will perform it has a “simple” understanding of how to do the procedure, that’s bad. In the first case, simple is good because it means little risk. In the second case, simple is bad because it means high risk. In conventional fly fishing, there’s a lot of fishing-prevention ritual. In addition to the longer rigging time (tenkara can take as little as 45 seconds), on the stream, you’ve got a lot of drama. False casting, shooting line, stripping it back in, shooting it back out again, changing flies, mending line, adding split shot or strike indicators, adjusting strike indicators, etc. all minimize the time your fly is actually in the water. And as we all know, if your fly isn’t in the water, it’s not going to catch a fish. 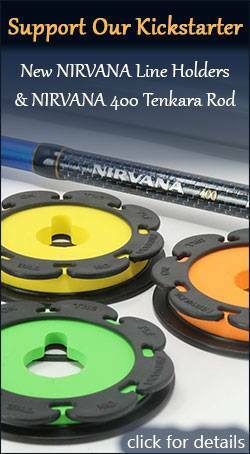 But tenkara shuns the complexity of all of this, meaning you can fish more, fuss less, and adapt instantly. I can make a down-and-across twitching presentation and then pick up the line and make an upstream dead drift presentation with one movement–no false casting. Then, I can pick that up and make a downstream dead drift presentation. And after that, pick it up and do a downstream swing or Leisenring Lift. You get the idea. Basically, tenkara allows me to instantly switch between countless techniques and presentations with zero downtime. It’s simple, yes, but that’s not why I love it. I love it because that simplicity affords me efficiency and cadence on the water. Tenkara isn’t good because it’s simple. It’s simple because it’s good. 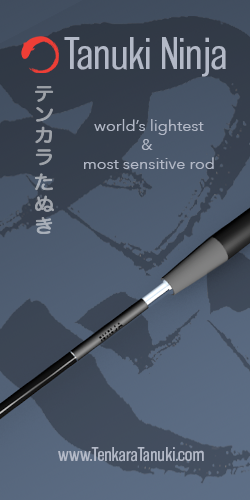 Why is tenkara simplicity good to you? Your 5th paragraph summed it up precisely. Where I fish, what you described is what I do and it somewhat pisses off the “regulars”… Don’t get me wrong here, I change flies, and at times often, but go thru the progressions you describe. 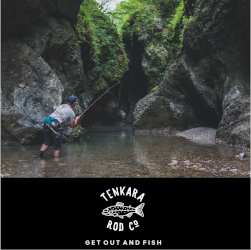 Tenkara allows me to end up further from my starting point, in less time, and results in more fish, than any other method of fishing I’ve used in my last fifteen years on the water. I can literally cover every inch of a plunge pool, riffle, or run in half the time it takes using traditional methods (for me). Not to mention, a tenkara kit is smaller, lighter, and easier to pack into the backcountry, where no one is… which is where I like to be. move to the beach and cast bonefish_bitters into the waves. I think that is called versatility! 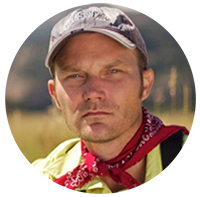 I predominantly fish the Rocky Mountain backcountry, often miles into wilderness, with my truck left far behind. All I have is what’s on my back. Less weight, less gear, and less to keep track of is very important. THAT is what first attracted me to tenkara. Several years later I have many more things to love about it, and the points you’ve made are among them. The lack of line maintenance is what makes it simple for me. No mending, no worrying about lining a fish or line slap on the water. With a level tenkara line, I can pick individual fish out of a pod without spooking them. Simple = effective. I think an important point is being lost here: true, and according to Occum—“all things being equal, the simplest solution is the correct one”. But that’s not the point, really, it is the WATER which will dictate how we decide to best fish it. There’s some skinny, pocket water that I routinely pass up with my rod and reel that I can’t wait to get back to with one of my tenkara rods; 100 yards downstream there’s a long deep run which I can’t wade within 25′ of and unfishable with a tenkara rig; but with an 11’/3wt—ad dry/dropper and a loaded reel—I can reach and fish with a reasonably long drift. Water type is the ‘equalizer’ and the determinate as to what tool we use to best fish it. Shawn, I need to start coining these phrases. How does one go about that anyway? LOL. …”fish more, fuss less”… I like that. It reminds me of an old beer commercial. For me the “simplicity” onstream is not really the appeal. If simplicity plays a role in my affinity for tenkara it is the off stream simplicity – by which I mean that I don’t spend too much time worrying about flies and gear before a trip like I used to with western fly fishing. The appeal onstream has more to do with the idea that tenkara is “sufficient unto the fish” to borrow a phrase from M.R. Montgomery and his book Many Rivers to Cross. There’s no overkill, no excess of gear. So it’s not simplicity per se – I don’t seek that for its own sake – it’s more like it is just the right amount. It’s up to the angler to decide how complicated he wants it to be – some folks make tenkara pretty complicated too. Lack of complication and weight is what brought me to tenkara. The meditative thought that accompanies it is what kept me. Tenkara flows with the same meditative equalizing 1-2 pace of hiking. Larry, just curious, how did you make your shorter rod? Tenkara is “better” for me in many situations because of the delicacy in presentation, the ability to “direct” the fly (dry or wet), and just an overall stealthier setup. It really has nothing to do with simplicity for me, that’s only a bonus. I caught about 15 fish out of a single pool late summer just by carefully working the water left to right, tail to head. I would have caught 1 or 2 with my conventional with all that noise & splashing. 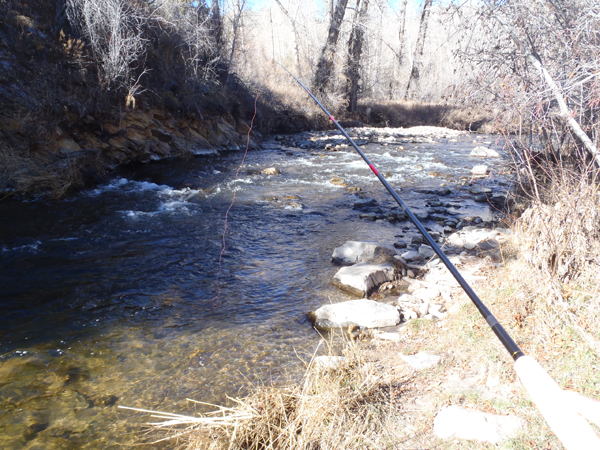 That said, there are certainly places where I go back to my fly rod (streamers, long casts, etc.). Thanks Jason, your advice/blog have been most helpful. The more I read on Tenkara and it’s simplistic technique, the more I’m reminded of a technique I used as a kid before I was eventually sucked up into the commercial vortex of modern day western style flyfishing. It is the technique we call “dappling” here in the western world and it is not unfamiliar to a lot of fishermen I’m sure. I didn’t know it was called that when I was young. I just did it because I was a kid who did it as a means to an end. My first rod was a cane pole with catgut wound around the tip, handed to me by my Grandfather, and we would catch catfish in stillwater close to shore with it. As a teenager fishing smallstream pools and logjams for “brookies” I thought nothing of doing the same thing with a spincast rod or my flyrod and a length of leader to pull out fish. I see a lot of new and upstart anglers who are “green” when it comes to fishing at all(“Green” flyfishers can be a nightmare when they get into your space). 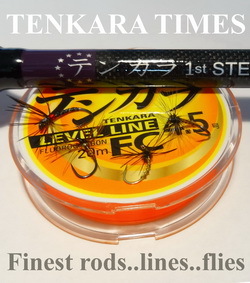 Tenkara is an excellent way to start fishing(or using flies for the first time),as I did with that old cane pole when I was a kid. It is a “new spin on an old theme” and sounds quite refreshing for those of us who are caught up in the costly, modern complex internet/media world of today’s fly fishing. Tenkara keeps it simple all around. That’s the way it should be.